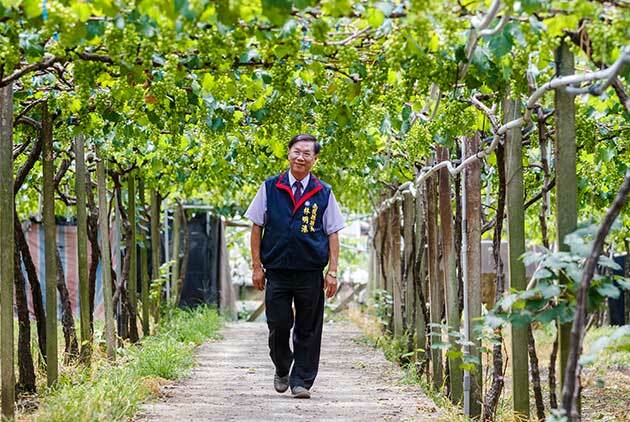 Since taking office five years ago, he has helped transform Taitung County from a remote southern coastal city with 40 percent low-income families and a serious population drain into a major tourism hotspot. How has County Magistrate Justin Huang presided over such a turnaround? 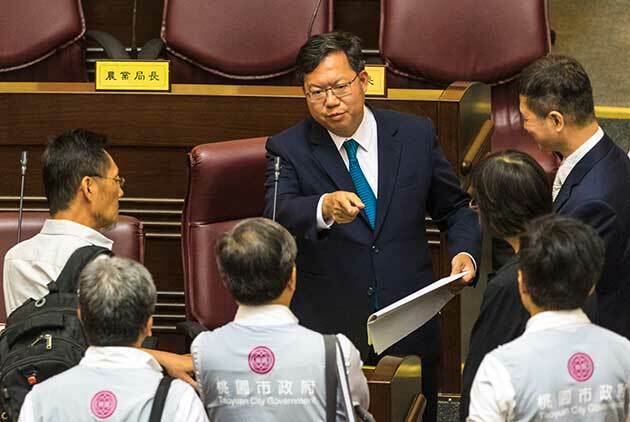 Taoyuan Mayor Cheng Wen-tsan was a surprise winner of his city’s mayoral election in 2014, and he has continued to surprise in office, showing diligence and savvy in building a positive image among city residents and delivering results. 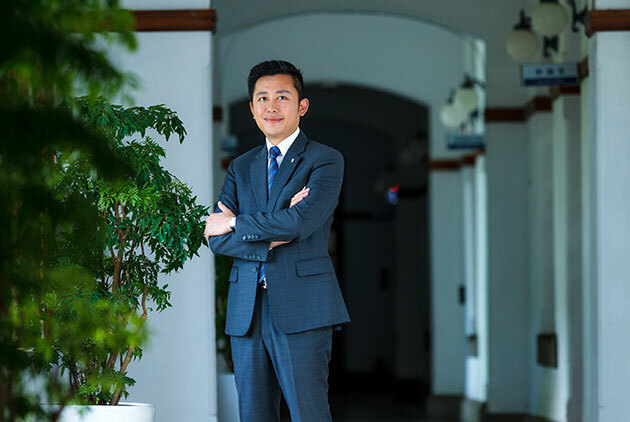 Taiwan’s youngest city mayor heads up a city that will mark its tricentennial next year. 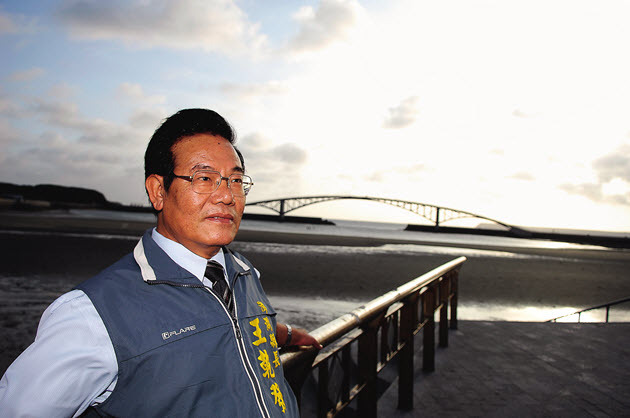 On the strength of a series of popular initiatives, Hsinchu City Mayor Lin Chih-chien is helping reshape Taiwan’s own “Windy City” to face the challenges of the new century. CommonWealth Magazine journeyed to the remote county of Nantou to get to the bottom of dark horse Lin Ming-chen’s popularity. CommonWealth Magazine's latest local leader approval survey results are out. As the bipartisan divide between the blue and green political camps wanes, many veteran mayors and magistrates are seeing their stars fall, while rookies are rising to new highs. CommonWealth Magazine’s latest City Happiness Survey has found that residents’ trust in their local leader may go a lot further in promoting a sense of “well-being” than a community’s resources and infrastructure or tangible initiatives. As the leaders of Taiwan’s 22 cities and counties near the second half of their four-year terms, their approval ratings have taken some unexpected turns. 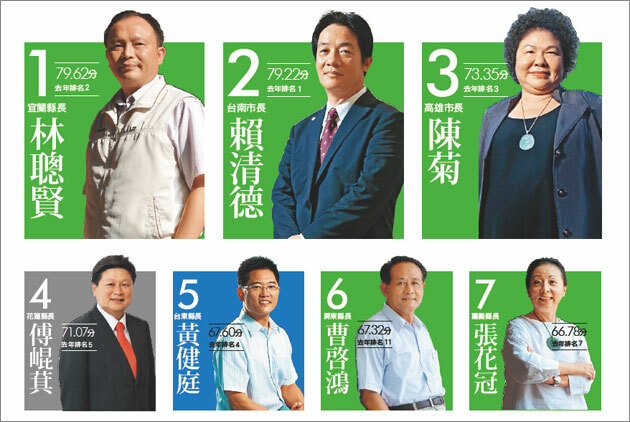 Tainan Mayor Lai Ching-te lost his crown, while the chief executives of two offshore counties grabbed ranks 1 and 2, and Taipei Mayor Ko Wen-je came in second to last. 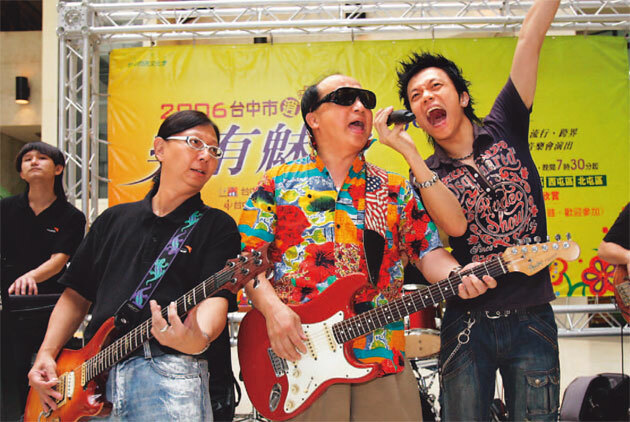 In CommonWealth Magazine’s survey of people in Taiwan’s 22 cities and counties, many local leaders, including those considered stars, saw their satisfaction ratings fall below expectations, but some newcomers made big jumps. 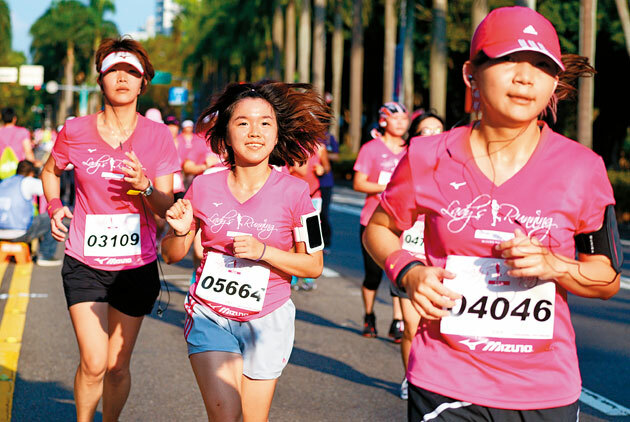 The cities of Taipei and Hsinchu are the most competitive in Taiwan but that competitiveness did not translate into a sense of well-being, according to CommonWealth Magazine's 2014 City Happiness Survey. According to City Safety Index established by CommonWealth, as many as 14 of the 22 municipalities in Taiwan emerged as "high risk" places. What can their residents do to protect themselves? As the year-end elections loom large in Taiwan, the chief executives of the island’s 22 cities and counties are battling to retain office, yet 40 percent have suffered a drop in their popularity. CommonWealth holds their scorecards up for readers to judge. 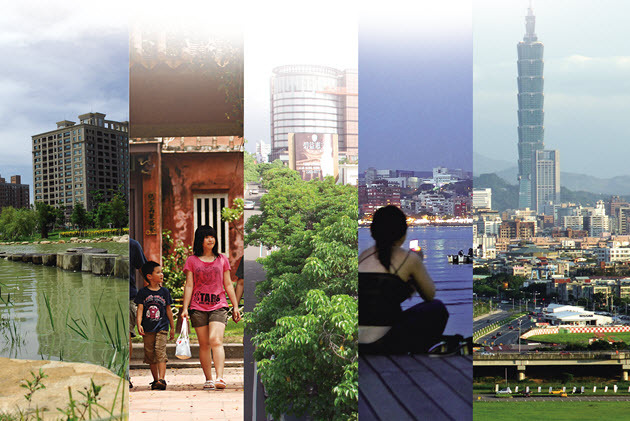 Which Taiwanese City Would You Call Home? 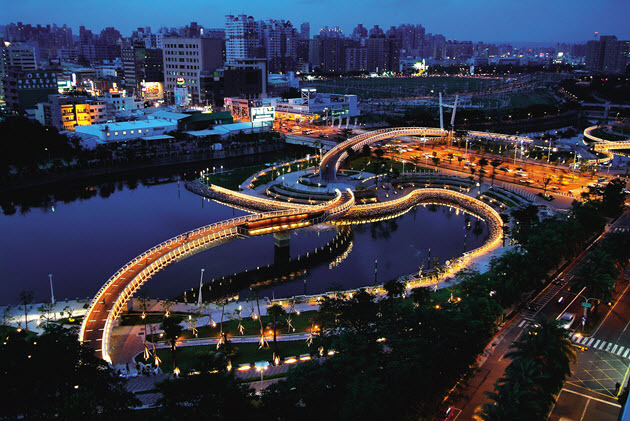 Taichung has emerged as the place where most Taiwanese would like to live, pushing aside Taipei. While the capital is still seen as the island's most representative city, its glitter generates less happiness than its country cousins. 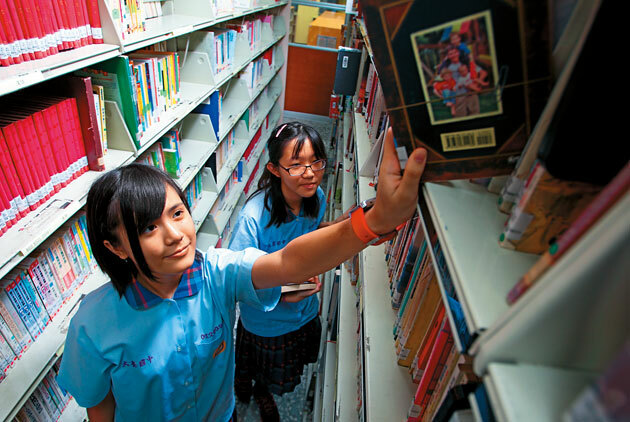 With the bold ambition of becoming a "city of reading," Kaohsiung is pooling the resources of its 61 public libraries, making millions of books available to its schools. Throughout Taiwan, cities are raising competiveness by elevating culture, and the answer lies in books. The competitiveness rankings of Taiwan’s five big "special municipalities" produced few surprises, but at the "city and county" level, small island counties showed unexpected strength. Personal scandals and unpopular strong-hand measures have caused public support to plummet for some local leaders, while innovation and effective public relations have won residents' hearts. 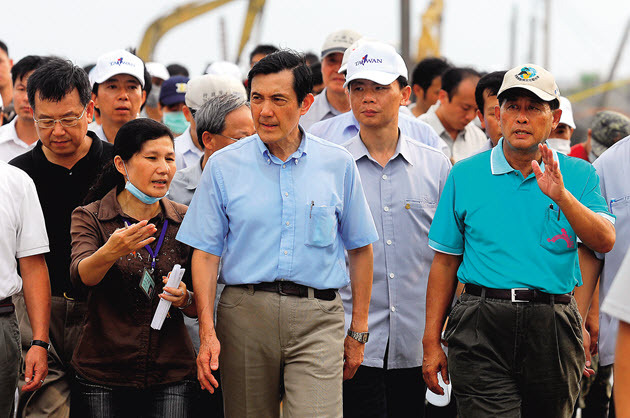 Taiwan's top five mayors stand the greatest chance of rising to political supremacy. But first they must win the enigmatic hearts of the younger generation. A new CommonWealth survey shows how they're stacking up. 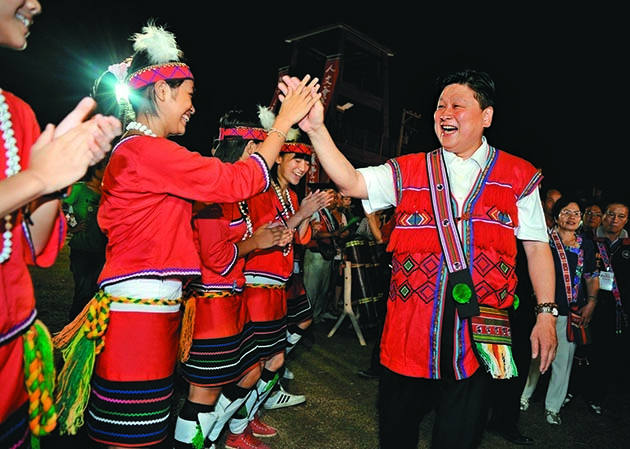 Cho Po-yuan enjoys one of the highest voter support rates of any KMT mayor or county executive. As one of the new generation of KMT leaders, how is Cho getting his constituents to sense his passion for public administration? What does well-being taste like? The residents of Yilan seem to know. More than 90 percent of people living there say they are happy. What has their chief executive done to make them feel so satisfied? Taiwan's highest public approval ratings belong to newcomers. But will they be able to meet expectations? 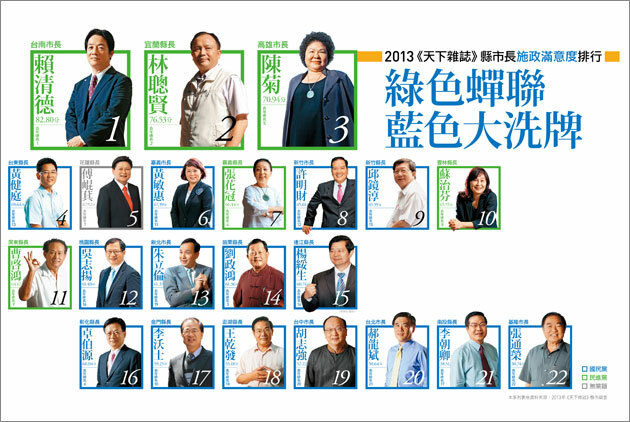 And what do the rankings reveal about the state of Taiwan's democracy and the island's political landscape? 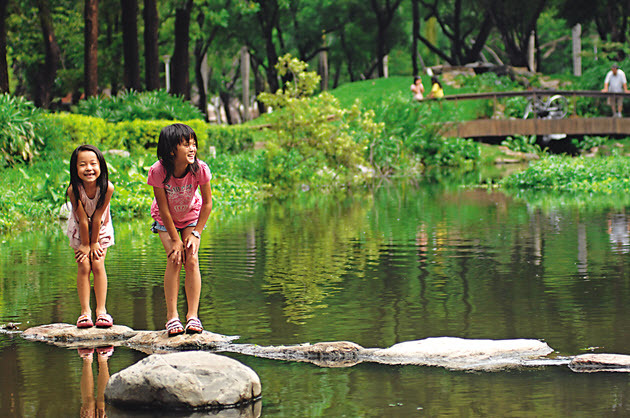 What places in Taiwan are mostly likely to foster the greatest sense of well-being? 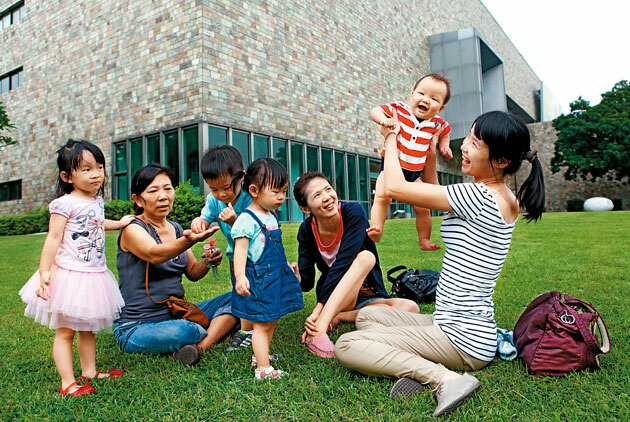 CommonWealth Magazine's latest survey of happiness throughout Taiwan's cities and counties reveals that living the good life has little to do with material standards. Some cities with the conditions most conducive to well-being give their mayors mediocre ratings, while those in less favorable areas are the most content. What do local leaders need to do to achieve a hike in happiness? Just having a recognizable name no longer guarantees political popularity. As this year's Local Leader Approval Survey reveals, the secret to success is balancing the public's aspirations with sustainable local development. What makes a city’s residents happy? The issues people care about are not luxury housing or impressive statistics, but a sustainable environment, a fulfilling job and a good place to live. 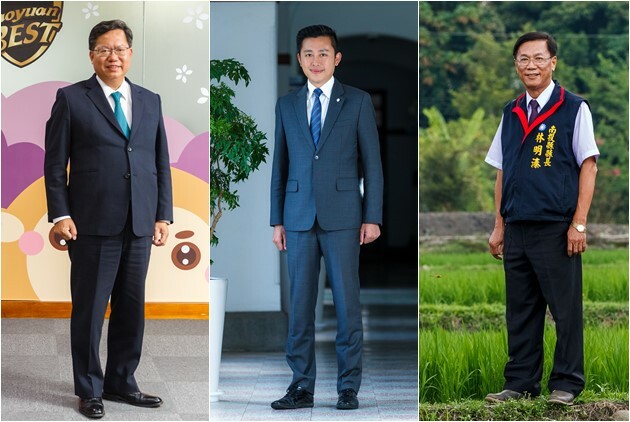 In a series of exclusive interviews, the candidates for mayor of Taipei City, Xinbei City and Kaohsiung City present their plans for governance after the reshuffling of Taiwan's administrative districts. 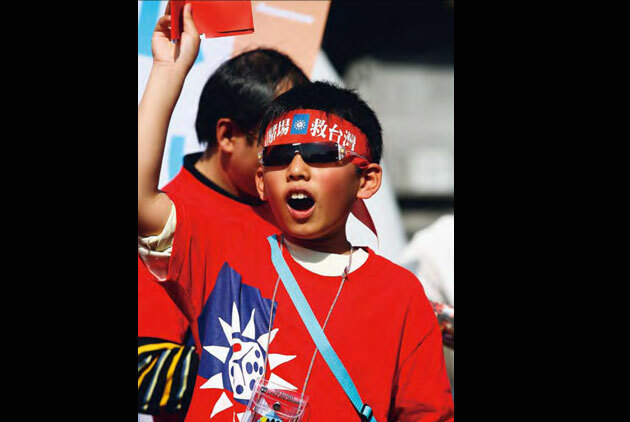 This year Taiwanese citizens are ready for change. Approval of local chief executives from the opposition party has risen, while ruling party approval is on the skids. 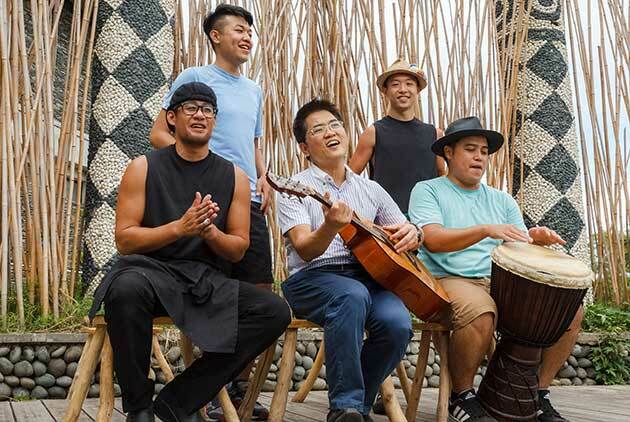 Why is Taiwan’s "blue camp" singing the blues across the island? 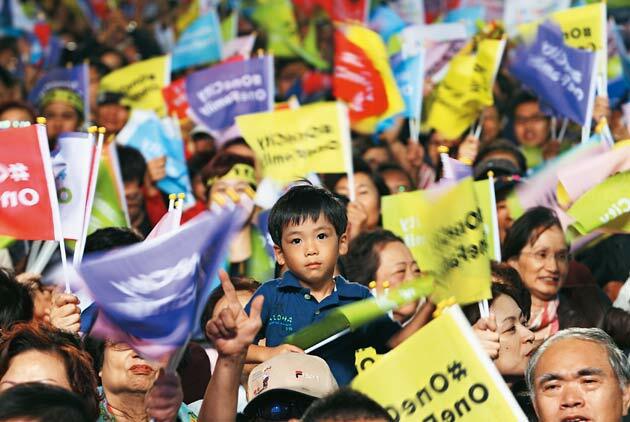 Some are greeting Taiwan's new districting system with joy, others with pessimism. How can Taiwan's five new top-tier cities truly leap onto the international stage? And how can Taiwan narrow the gap between city and countryside? 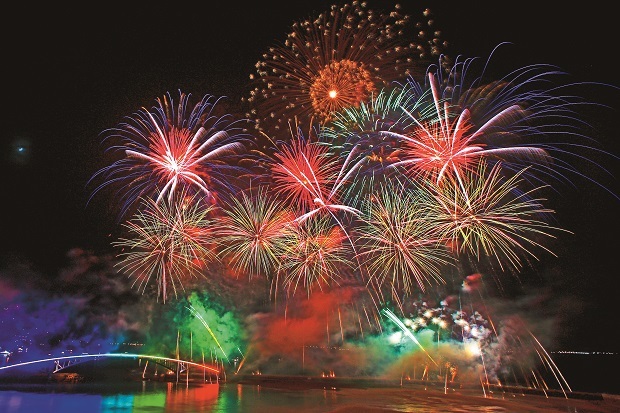 Penghu Island, long a popular destination for local travelers, has set its sights on loftier goals – attracting well-healed international tourists with five-star resort hotels and casinos. But can Penghu realize its grand designs? In 2009, city and county chiefs face pressure to perform, and urban areas claim a higher quality of life than their country counterparts. In this year’s Happiness Survey, which localities have risen, and which are on the slide? Will the construction of a gambling casino on Penghu really vault these beautiful islands into the international arena? Hard-up Penghu islanders may pass a referendum on gaming, but regulation will be the key to whether it takes off. 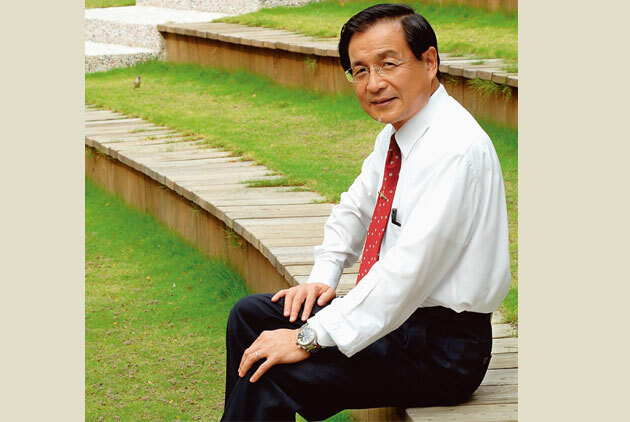 Once saddled with the nation's highest unemployment rate and a back-of-the-pack environmental rating, how has Tainan City mayor Hsu Tain-tsair breathed new life into his city in just six short years? 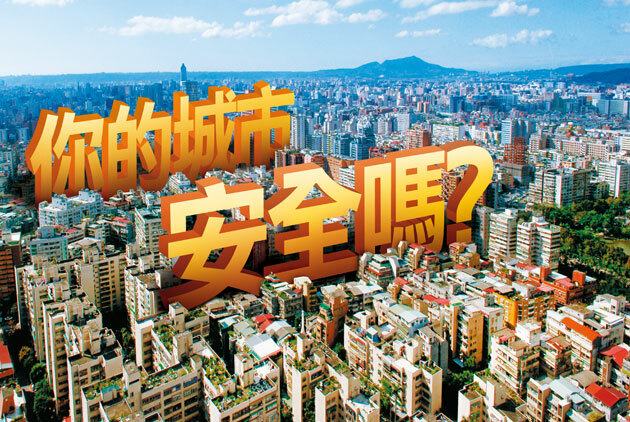 Taiwan's cities and counties have entered a new era of competition based on balanced development. 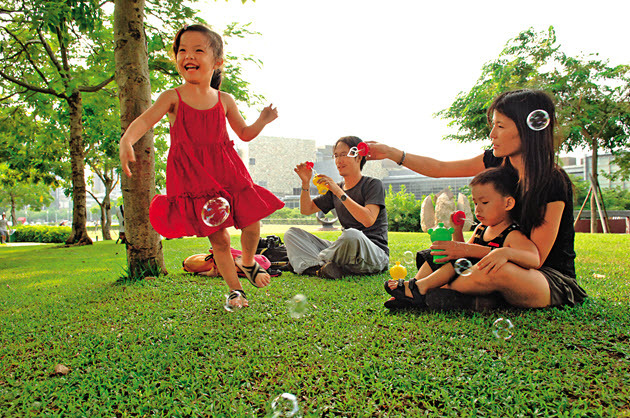 CommonWealth Magazine's latest survey of happiness reveals which localities are succeeding. 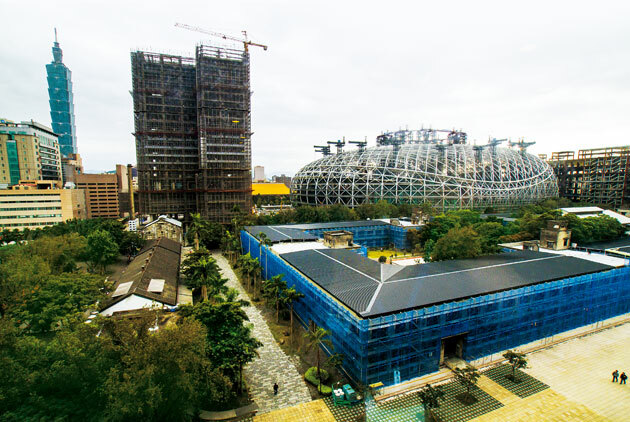 Sandwiched between the economic powerhouses of metropolitan Taipei and Hsinchu and initially regarded as having few prospects, once listless Taoyuan has become a place where more and more people live and work in contentment. Where Is Taiwan's Haven of Happiness? The crucial role of chief executives, the felicitous influence of science parks, Jiayi City's precipitous rise in the rankings... 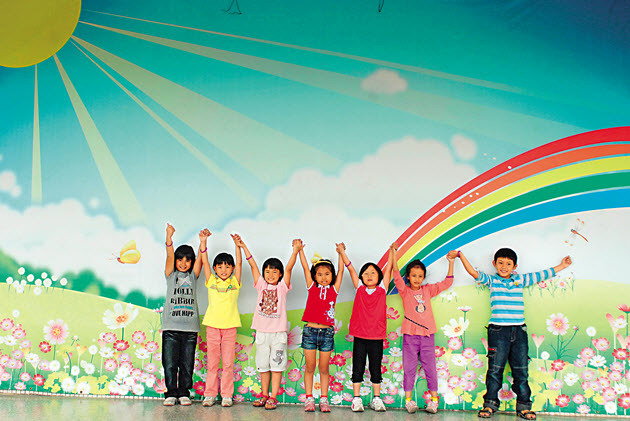 This year's 'Happiness Survey' reveals the state of well-being in areas across Taiwan. Where in Taiwan are the residents proudest and happiest? Building a brand and finding unique identity can give small localities new life. How are Taiwanese cities and counties managing to stand out from the pack? Southern Taiwan's Kaohsiung County is harnessing sophisticated farming techniques and tourism marketing to optimize its agricultural and fishing resources. 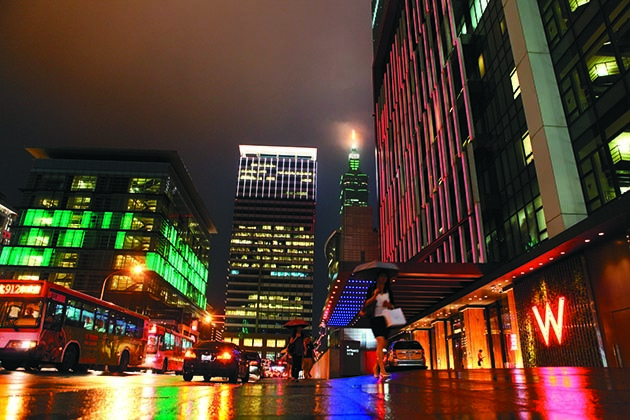 Within six short years Taoyuan County has emerged as Taiwan's most productive area. The next challenge for its magistrate will be to give Taoyuan a more international outlook. 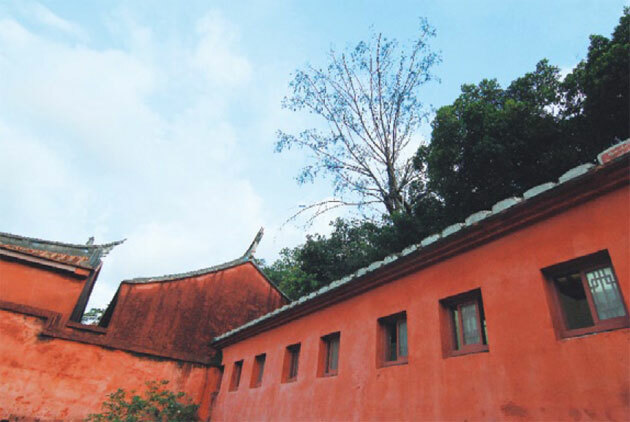 As Taiwan?s venerable first city, Tainan boasts countless cultural treasures. Mayor Tain-Tsair Hsu is working to profit from the city?s historical assets and restore its former splendor. Taichung City may not be able to compete with the economic might of Taipei or Kaohsiung. But it has a much better chance of overtaking Taiwan's two biggest cities when it comes to style and culture.